Unfortunately most riders don’t question the brakes on a UTV as we have nothing to compare. With the upgrades to 32” tires, motor work, extra weight, roll cages, etc, the yxz is lacking in the brake area, especially those that can drive on the highway. 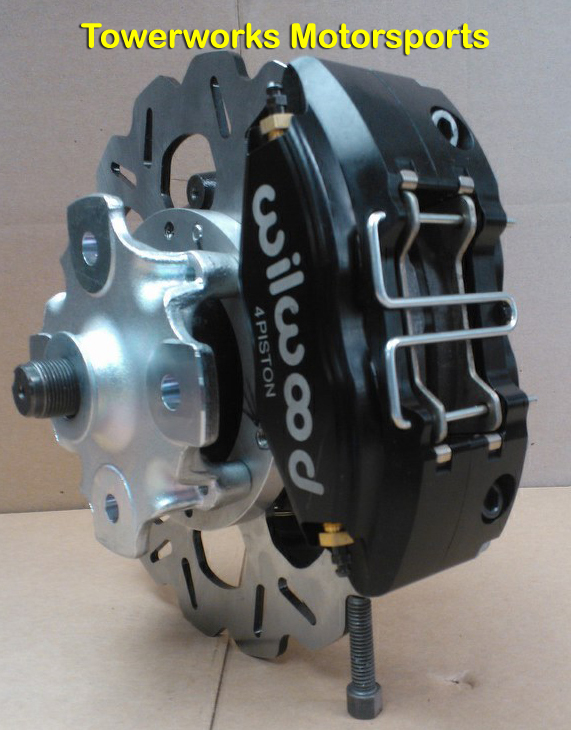 This brake upgrade is the answer if you drive your car or bike quickly, or do track days one of the first upgrades is brakes. 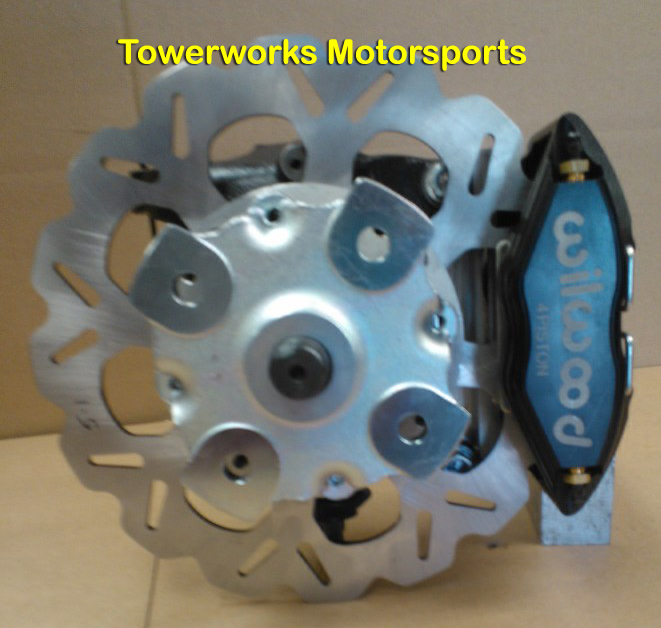 Towerworks Motorsports offers this Wilwood 4 pot caliper with adapter that bolts directly to the YXZ bearing carrier. The fully floating wave rotor, reg by Galfer is 1. 1” bigger in dia than stock, resulting in a brake combination that allows you to use the YXZ with engine , wheel and tire upgrades to better ability. This upgrade is a bolt on package which also includes Galfer brake lines.